The chart below provides approximate bracelet length suggestions from baby to adult, in inches and cms. Can be used for customised beaded and chainmaille orders. 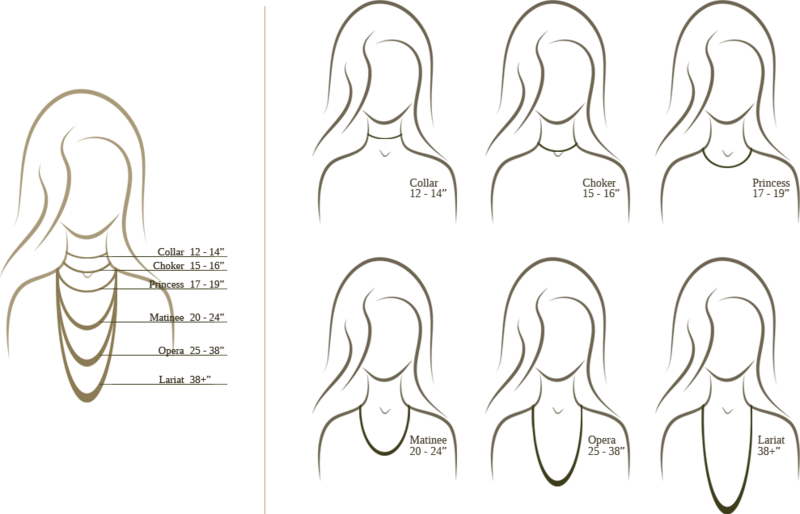 Use the diagram below for necklace style ideas and their corresponding lengths in inches. Can be used for customised beaded and chainmaille orders.